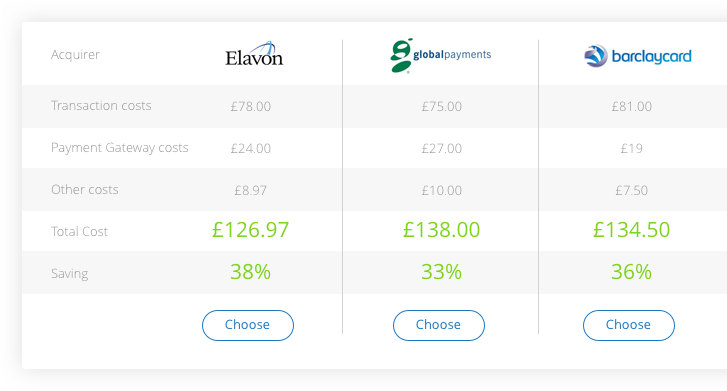 If your business accepts online payments, you could save up to 40% on your payment processing fees. Simply fill out a few details about your business and we will find you the best deals on the market. It’s quick and easy. Payment processing fees are charged by your merchant acquirer on each credit and debit card transaction your business accepts. We work in partnership with the best merchant acquirers, payment processors and ISO’s on the market. After you tell us a little about your business, we get quotes from each of our providers. It only takes two minutes and can save you a lot of money. Explore the inner workings of the payment gateway industry. In this post, we explain all the individual charges involved with processing credit and debit cards.